Liz Earle's Cleanse & Polish is one of those products that everyone in the beauty community always raves about and I thought it was about time I tried it for myself. The Cleanse & Polish works in two phases; first the cleanse by massaging the cream onto the skin then the polish with a muslin cloth that has been run under hot water and rung out. 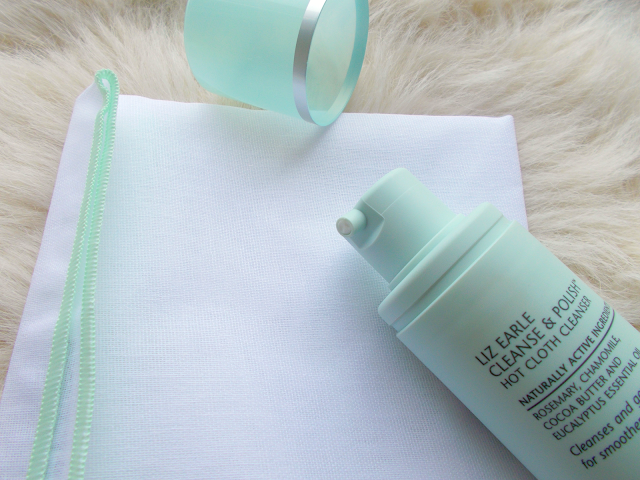 Liz Earle say it's suitable for all ages and skin types. It's available in lots of different sizes but the 100ml pump I got usually retails for £14. What with this being quite pricey, I put off buying it until Liz Earle were recently selling it for it's original 1995 price of £9.50, at which point I ordered it on the spot! I'd heard so many good things about it and I just knew I was going to love it. I have to say I noticed incredible results from the first use. The cream works it's magic when you massage it onto your face, then you use a muslin cloth to 'polish' it off. Seriously, my skin feels brand new after I've used this! I'm constantly amazed at how it can leave my skin feeling so clean yet so well nourished. I've never felt anything like it! I think it's down to the fact that you get a 2 in 1 effect; both a cleanse and a gentle exfoliation which really smoothes out your skin. Key ingredients are cocoa butter, chamomile & eucalyptus essential oil which combined make the cream feel very luxurious and also have an interesting scent. To me, it smells quite fresh & minty and really does remind me of a spa. I imagine it would divide opinions but personally I love it! The only downside I can really find is that as the bottle is opaque, you can't see when it's about to run out. I probably wouldn't change that though as I think the packaging is beautiful! I will point out that I much prefer using this as a cleanser after I've taken my makeup off with micellar water although it can be used for makeup removal. I just feel that's the most effective way for me, plus I don't really like the idea of clogging up the muslin cloth with foundation & mascara unnecessarily. I can definitely see this pleasing all skin types as Liz Earle claim - my combination skin loves it! 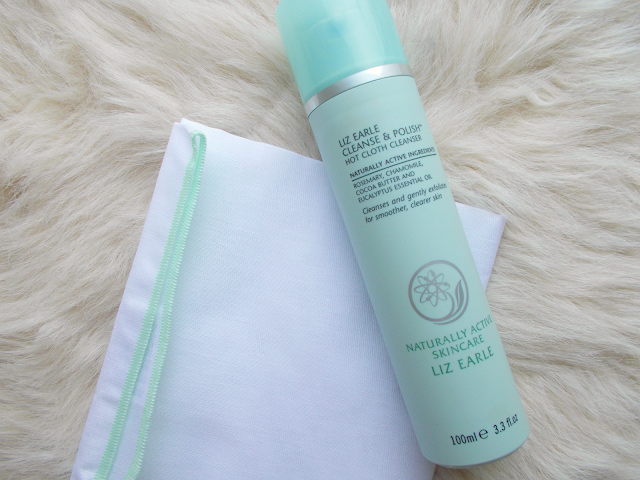 You can get the Cleanse & Polish from the Liz Earle website here or from Boots here. Well I hope you found this post useful, particularly if you're on the fence about buying Cleanse & Polish! I think it's worth the price and will definitely be repurchasing - I can't imagine being without it now! Get involved in the comments below and let me know if you'd like to see a current skincare routine post/video.